I have Lupus. That DOESN’T mean I don’t take care myself, that I refuse to exercise, that I eat poorly, that I make up my symptoms or whine and complain a lot. It DOES mean that I push myself to the limit constantly, I try to overcompensate where I feel I lack, I hide my feelings and everything that may be wrong behind my smiles, I cry in desperation and fear when I am alone and I often wonder how I will live to my next moment. I don’t want to live this way, but I know I have no other choice. I have lupus. 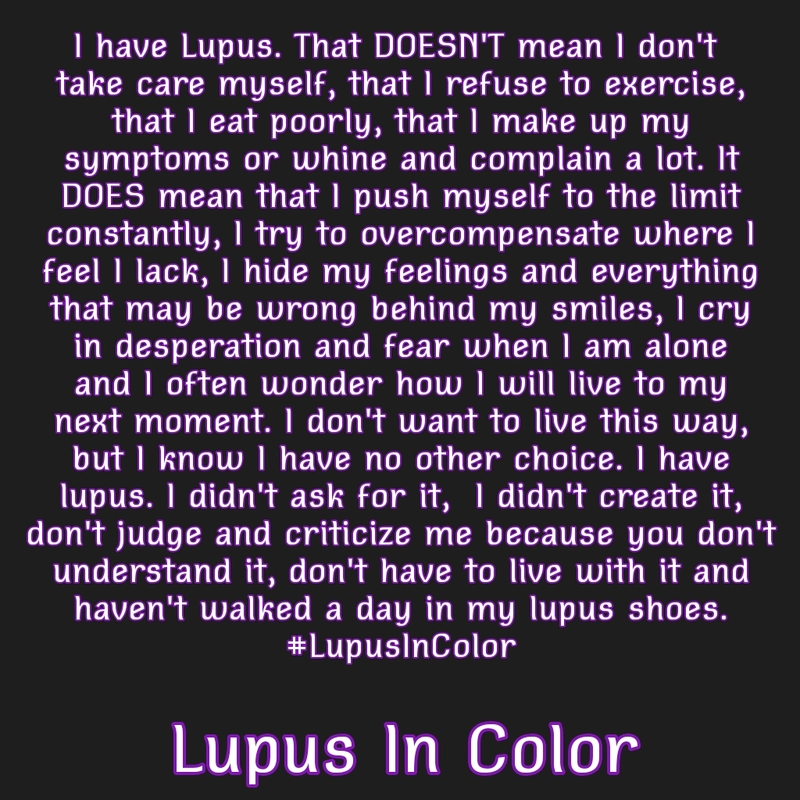 I didn’t ask for it, I didn’t create it, don’t judge and criticize me because you don’t understand it, don’t have to live with it and haven’t walked a day in my lupus shoes.